When you think of an accountant, typically, you think of someone who prepares tax returns or is a pure number cruncher. While this might have been true in the past, nowadays we have Microsoft Excel to help us crunch numbers. In addition, stricter government regulations such as the implementation of the Sarbanes-Oxley Act have paved the way for greater demands in different careers within the accounting field. Below are a few sub-categories within the accounting field to consider. Audit: Auditors perform procedures to ensure company's financial statements are free from material misstatements. In addition, they ensure that the financial statements accurately reflect the financial performance of the company they are auditing. Banks and lenders request companies be audited because they want to be reassured that companies they lend to will be able to pay their debts. Public companies file reports such as the 10K and 10Q with the SEC. Investors factor into their decision making process the information in these reports. Naturally, companies will have an incentive to overstate their assets and understate their liabilities. Therefore it is important to have a third party, such as an auditor to ensure that the banks and investors are protected. Tax: Tax professionals prepare tax returns both on an individual and corporate basis. This includes international, federal, state, and local tax returns. In these economic times, companies are looking to reduce their tax liabilities and make better investment decisions. Tax regulations are constantly changing. This is largely due to the direction the government decides to take the economy. For example, the housing market has been on a decline in recent years. In order to mitigate this situation, the government has decided to provide tax credits to first time homeowners to boost the housing market. Tax professionals are aware of such recent developments and would be able to effectively advise individuals. Information Technology (IT) : As the world moves towards more and more sophisticated software systems, the need for individuals with IT knowledge continues to grow along side it. Accounting systems' design complexity has increased in recent years and require extensive knowledge to troubleshoot. Professionals continue to design and implement advanced software systems. Individuals with skills to manipulate, design, and implement such systems are extremely valuable to companies. Internal Audit: Although similar in duties to an external auditor, internal auditors focus on ensuring their company's internal controls are functioning properly. In some cases, they will perform similar procedures to that of an external auditor. 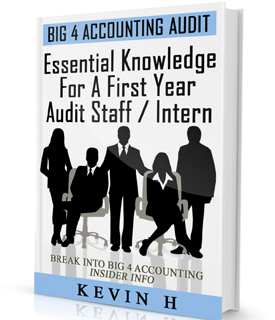 An internal auditor is directly associated with their company and thus not considered a third party. Therefore, companies will have to employ another company to ensure their financial statements are free from material misstatements. Where internal auditor's value lies is in the fact that they will be able to large issues before they reach the external auditors. Therefore, cut down the work needed from external auditors, effectively reducing audit fees. Forensics: Accounting professionals perform procedures to detect white collar crime such as fraud, tax evasion, and embezzlement. International Focus: With exception to countries like the United States, much of the world is under IFRS (International Financial Reporting Standards). Globalization has moved the United States to consider IFRS Standards. There have been advanced talks regarding the inclusion of IFRS standards in the CPA exam. Professionals with IFRS experience will become valuable to companies within the United States as well as across the globe in the coming years. Consulting: This involves financial planning, organizational restructuring, and management tactics. Individuals will leverage prior years' data and knowledge of the current business environment to plan for the future. General Accounting: Accountants are responsible for general ledgers, trial balances, financial statements and other general accounting issues. Often these same individuals will be responsible for closing the books at year end. Furthermore, it is not uncommon to see reconciliations from the detail listings to the trial balances be a part of their duties.